Monroe Town NY Traffic Violation Lawyer Where Will Your Case be Heard? Monroe is a town located in the southeast portion of Orange County, New York. The Town of Monroe contains three villages: Monroe, Harriman and Kiryas Joel. NY Routes 17 and 17M, as well as US Route 6, pass through Monroe. If you were stopped for speeding on one of these roads, or on any other local road, speak with a qualified traffic lawyer now. If you’ve been pulled over by a traffic cop in Monroe Town, NY, your first order of business should be contacting a qualified attorney so that you can explore your legal options. Clients who attempt to defend themselves in court or negotiate a plea deal on their own often find themselves facing severe penalties, including points on their license, higher insurance premiums, expensive fines and even jail time. 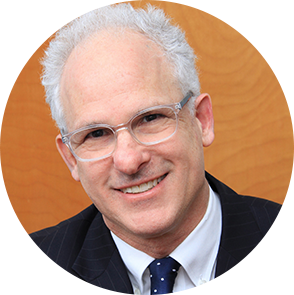 I am Jonathan D. Katz, an experienced NY traffic lawyer with 36 years of experience in courtrooms throughout New York, including Orange County and Ulster County. I have a unique understanding of the traffic court system in NY, gained through hard work and experience. I am often able to persuade opposing prosecutors and police officers to dismiss or reduce my clients’ charges. I routinely represent clients accused of traffic offenses in New York, including NY drivers, drivers from other states and even Canadian drivers who were stopped for speeding while passing through Orange County. What are the Consequences of a Traffic Conviction in Monroe, New York? Points on your license and a traffic conviction on your driving record when the traffic court notifies the New York Department of Motor Vehicles (DMV). Out-of-state drivers also face penalties when they return to their home state because the New York DMV will forward notice of the conviction. Heavy fines, monetary penalties and court costs, depending on the severity of your traffic offense. Higher insurance rates when your insurance company receives notice of your traffic conviction in Monroe, New York. If the charge is particularly serious, like your second or third DWI offense, or if you have other prior convictions on your driving record, your insurance carrier might even cancel your coverage. Suspension or revocation of your license for serious traffic violations or if you have too many points on your license. Contact an experienced traffic attorney before you plead guilty or a pay a fine. An experienced lawyer can argue your case before the prosecutor, the police officer who ticketed you and the judge, if the case goes to trial. I know how to challenge radar gun readings and scrutinize official police reports. In fact, I’ve won many traffic cases in New York by contesting the evidence and fighting on behalf of my clients. I also possess a unique understanding of the local traffic court system and the traffic laws in Orange County, NY. Don’t let a traffic charge create problems for you going forward. Talk to an experienced Monroe, New York traffic attorney and figure out the best way to avoid the long-term consequences of a traffic conviction. Jonathan D. Katz, Esq. has a track record of success in Orange County, NY traffic cases. Call me now at (866) 265-0222 to discuss your charges or schedule a consultation at my office in New Paltz, New York.